Become a sponsor of the 2nd Annual DBIA Oregon Golf Event and gain the opportunity to enjoy a fun social event with your colleagues at Top Golf and advertise your company. Join us May 17th, 2019! Would you like to be invoiced? Select Yes and choose check as your payment option. Includes 3 guest passes to the event and 5 raffle tickets for each of the two guests. Sponsor logos will also be displayed on the DBIA NW website and on event signage. Includes 2 guest passes to the event and 5 raffle tickets for each of the two guests. Sponsor logos will also be displayed on the DBIA NW website and on event signage. Includes 1 guest pass to the event and 5 raffle tickets for the guest. 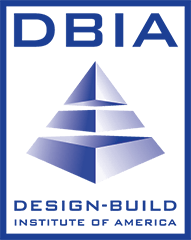 Sponsor logos will also be displayed on the DBIA NW website and on event signage.